Habitat for Humanity-Lima Area, Inc. is looking for families who understand their housing situation is not healthy. These families know they need something better and are willing to work hard to get it. They have experienced that they do not have enough income for what it takes to get a loan from a bank or other financial institution to make a move into better housing conditions. These families are willing to do what it takes to make things different and will take pride in the work of their own hands. Those who administer Habitat and those who support it believe that these people, who cannot become homeowners the conventional way, should nevertheless be able to achieve that dream. Habitat for Humanity forms a community that walks alongside families who are motivated to do the needed work to become a homeowner of a well-built simple decent house. Thus, it can truly be said that it takes a community to build a Habitat house. 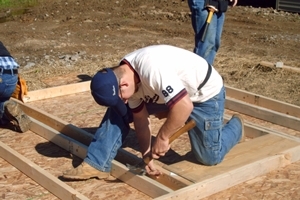 There are basic requirements for any individual or family to qualify for a Habitat house. Briefly stated, the qualifications are: demonstrated need, the ability to repay a mortgage loan, and a willingness to partner in the construction of their home. When a family is approved for a house, they become a Partner Family and the resources of the community are brought together to respond to their need. Financial needs for the costs of construction come from community members, churches, businesses, service clubs, and government services, who all believe that no family should live in sub-standard housing. There is also a huge need for volunteers. 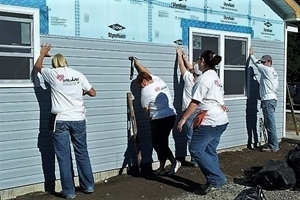 Volunteers not only give their time and skills to help build the house, they also give many hours to raising funds by working at the ReStore or supervising fundraisers. Behind the scenes are the employed staff, along with Board and Committee members of the organization, who facilitate many aspects of construction and financing. 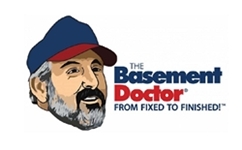 These persons coordinate the larger process, drawing on the experience of many affiliates across the country and around the world to help the process go as smoothly as possible. 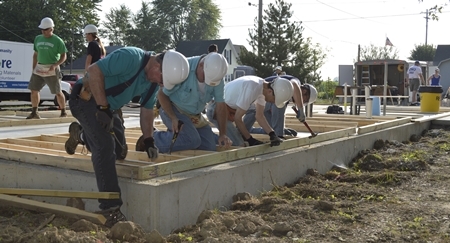 Habitat for Humanity-Lima Area, Inc. is committed to the development of decent, affordable homes. We also are committed to work with partner families to insure that the experience of long term home ownership is positive and successful. Homeowners invest hundreds of hours of their own labor, or sweat equity, building their Habitat house and they pay back a no-profit, no-interest mortgage. 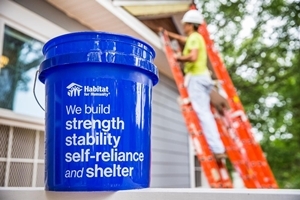 The partnership also includes helping in the ReStore, supporting habitat events and committees, and completing homeowner training and credit education. We continue to have the pleasure of working side-by-side with many families in Allen County and a portion of Van Wert County in the city of Delphos. We have completed homes in Lima, Delphos and Spencerville. Our partner families are amazing people committed to working hard, and helping themselves achieve the dream of purchasing and owning their own home. Each home has a story; each home has touched the lives of many people. We are excited about the future of Habitat for Humanity-Lima Area, Inc. and look forward to all of the new stories waiting to be written.